Written by a team of expert practitioners at the Independent Office of Evaluation of IFAD, this book gives an overview of evaluation practice at IFAD. It looks at how evaluation practice has evolved to reflect, respond to and inform changing expectations of development assistance. It reveals how evaluation products and methodologies have benefited from key reviews, revisions and lessons learned, and also how they have progressively strengthened IFAD’s capacity to assess its operations and better understand its results. 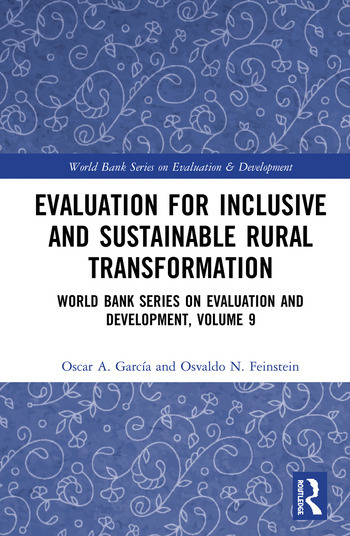 The book concludes with reflections on some of the challenges that lie ahead, including how the independent evaluation function can continue to evolve to meet future challenges and enhance the impact of development initiatives on people’s lives. This valuable insight into practice will be of interest to researchers, practitioners and policymakers in development economics, development studies and rural studies. Oscar A. García is Director of the Independent Office of Evaluation of IFAD. Osvaldo N. Feinstein is a member of the International Evaluation Advisory Panel of the United Nations Development Programme’s Independent Evaluation Office and Professor at the Evaluation Master of Madrid Complutense University.